Germany's Jewish community on Monday condemned an "explosion of evil and violent hatred of Jews" at a recent string of pro-Palestinian demonstrations in the country, AFP reports. Protesters waving Palestinian flags and signs of late leader Yasser Arafat have in recent days openly shouted angry anti-Semitic slogans at rallies against Israel's Gaza offensive, according to German media. Exclaiming "Allahu Akbar" (God is great), crowds in Berlin have reportedly yelled "Death to Israel" and chanted "Zionists are fascists, killing children and civilians". To top that, a Berlin imam has openly prayed for the annihilation of Zionist Jews, asking Allah to "kill them to the very last one." The president of the Central Council of Jews in Germany, Dieter Graumann, said: "We are currently experiencing in this country an explosion of evil and violent hatred of Jews, which shocks and dismays all of us." "We would never in our lives have thought it possible anymore that anti-Semitic views of the nastiest and most primitive kind can be chanted on German streets," he said in a statement. He demanded "clear and loud condemnations from politicians, the media and civil society" against the hatred in the country that perpetrated the Holocaust. "Jews are once again openly threatened in Germany and sometimes attacked, synagogues are being defaced and declared as targets," he said. 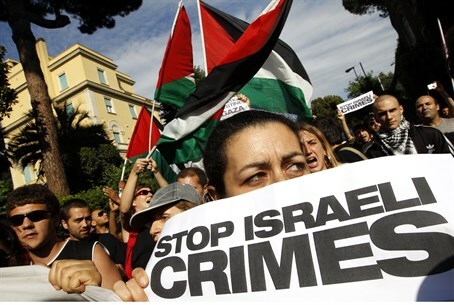 "This new dimension of anti-Semitism has received far too little attention. Anti-Semitism must not be concealed, it must be addressed and combatted resolutely! Freedom of speech yes, but no to hate speech!" Pro-Palestinian demonstrations have been held in recent weeks in cities across Europe, including in France where they have spiraled into violent clashes with riot police and dozens of arrests. Rioters have also vandalized several Paris synagogues over the past several weeks, including a firebombing incident in the Val d'Oise area of Paris.